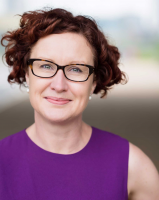 Bonnie-Kate Dewar has over 25 years experience of working with people with an acquired brain injury, 20 of these as a Clinical Neuropsychologist. She is a chartered psychologist, an Associate Fellow of the British Psychological Society, on the specialist register of the BPS Division of Neuropsychology and is registered with the Health Care Practitioners Council (HCPC). She is on the professional advisory panel for the Encephalitis Society. Bonnie-Kate completed her undergraduate training in her home town of Sydney, Australia and her post graduate training in Clinical Neuropsychology at the University of Melbourne, Australia. She was awarded a PhD from Kings College London on the topic of memory rehabilitation. After gaining experience in neurorehabilitation, assessment and vocational rehabilitation in hospital and community services in Sydney, Bonnie-Kate immigrated to the UK in 2000 to take up the position of clinical neuropsychologist at the National Hospital for Neurology and Neurosurgery, Queen Square. In this role, she conducted clinical neuropsychological assessments, worked within the outpatient brain injury rehabilitation clinic and conducted clinical research projects. In 2004, Bonnie-Kate accepted the position of Career Development Fellow with the MRC Cognition and Brain Sciences Unit, Cambridge. Within this role, she developed novel treatment programs for people with progressive and non progressive brain disorders and investigated recovery from brain injury, including the follow-up of people in low awareness states. Bonnie-Kate also contributed to the multidisciplinary memory clinic at Addenbrookes Hospital.In 2006, Bonnie-Kate returned to London to establish the only London based memory aids clinic at St Thomas’ Hospital. This clinic aimed to rehabilitate everyday memory problems following acquired brain injury with the systematic training of compensatory memory aids. Since 2012, Bonnie-Kate has had her own private practice specialising in neuropsychological assessment, rehabilitation and psychotherapy following acquired brain injury. She is also involved in a research project on the long term outcome of sports concussion. Critchley HD, Mathias CJ, Josephs O, O’Doherty J, Zanini S, Dewar B-K et al. Human cingulate cortex and autonomic cardiovascular control: converging neuroimaging and clinical evidence. Brain 2003; 2121-2135. Vincent A, Buckley C, Schott JM, Baker I, Dewar B-K, Detert N et al. Potassium channel antibody-associated encephalopathy: a potentially immunotherapy-responsive form of limbic encephalitis. Brain 2004; 127: 701-712. Dewar B-K & Wilson BA Cognitive recovery from Encephalitis Lethargica. Brain Injury; 2005 19(14): 1285-1291. Baird A, Dewar B-K, Critchley H, Gilbert SJ, Dolan RJ & Cipolotti L Cognitive functioning after medial frontal lobe damage including the anterior cingulate cortex: A preliminary investigation. Brain and Cognition 2006; 60: 166-175. Baird A, Dewar B-K, Critchley H, Gilbert SJ, Dolan RJ, Shallice T & Cipolotti L. Social and emotional functions in three patients with medial frontal lobe damage including the anterior cingulate cortex. Cognitive Neuropsychiatry 2006; 11(4) 369-388. Dewar B-K & Gracey, F "Am not Was": Cognitive behavioural therapy for adjustment and identity change following herpes simplex encephalitis. Neuropsychological Rehabilitation 2007; 17 (4/5): 602-620. Dewar B-K & Williams W.H. (Eds) Encephalitis: Assessment and rehabilitation across the lifespan. Neuropsychological Rehabilitation 2007; 17(4/5). Sopena S, Dewar B-K, Nannery R, Teasdale TW & Wilson, BA. The European Brain Injury Questionnaire (EBIQ) as a reliable outcome measure for use with people with brain injury. Brain Injury 2007; 21 (10): 1063-1068. Dewar B-K, Pickard J & Wilson BA. Long term follow-up of 13 patients in the vegetative and minimally conscious states. Brain Impairment 2008; 9 (3): 267-273. Dewar B-K, Wilson BA, Patterson K & Graham KS. Re-acquisition of person knowledge in semantic memory disorders. Neuropsychological Rehabilitation 2009: 19 (3) 383-421. Dewar, B-K, Kopelman, MD Kapur N, & Wilson, BA. Assistive Technology in memory rehabilitation. (2015). In Gillespie, A & O’Neill, B. (eds). Assistive Technology for Cognition, Current Issues in Neuropsychology, Psychology Press, Series Editor, Jon Evans.